"If you're looking for healthy and fun ideas for Christmas, try this veggie tray shaped like Santa. Serve with hummus or any dip." 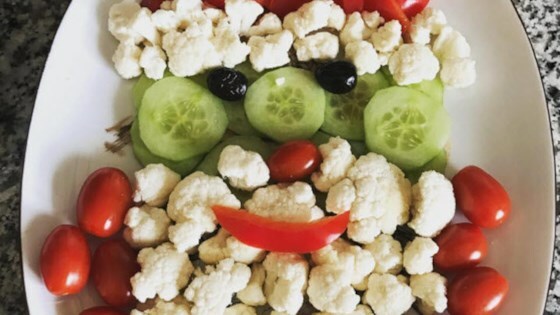 Create a Santa face out of all the vegetables: cauliflower for the beard, red bell peppers for hat and mouth, cucumber slices for the face, cherry tomatoes for nose and shoulders, and olives for the eyes.